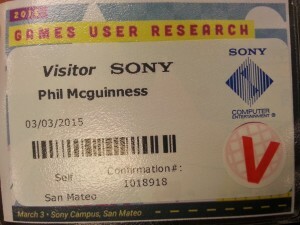 In one of those rare and fine occurrences where work and play intersect, I found myself at the Games User Research Summit at the Sony Computer Entertainment facility in San Mateo on March 3rd, 2015. 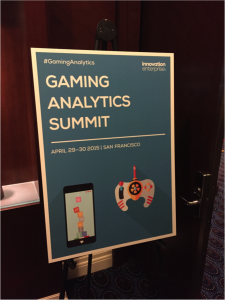 I had heard about the conference from another usability professional, and thought it would be interesting to see how usability practices are applied by professionals in the video gaming industry. Although we live in an age of specialization, I find that it’s important to step back from time to time and look at things from a different angle. What unique challenges are faced by usability professionals in video gaming? How do they approach similar tasks, like recruiting representative candidates and designing a product on a rapid time scale? These were the questions I wanted to answer, and a few of the talks that I attended shed light on these key topics. We can’t imagine we’re alone as we notice a dramatic change in the needs of our customers. It seems that rather than independently testing how users consume the lean-back broadcast experience and the lean-forward web and mobile experience as we did in the past, top brands are seeking our expertise to understand how these two mediums collide and complement one another.